The celebration of reading is here! 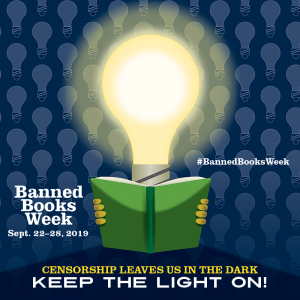 Banning books silences stories, so speak out against censorship all week at evens around the world! 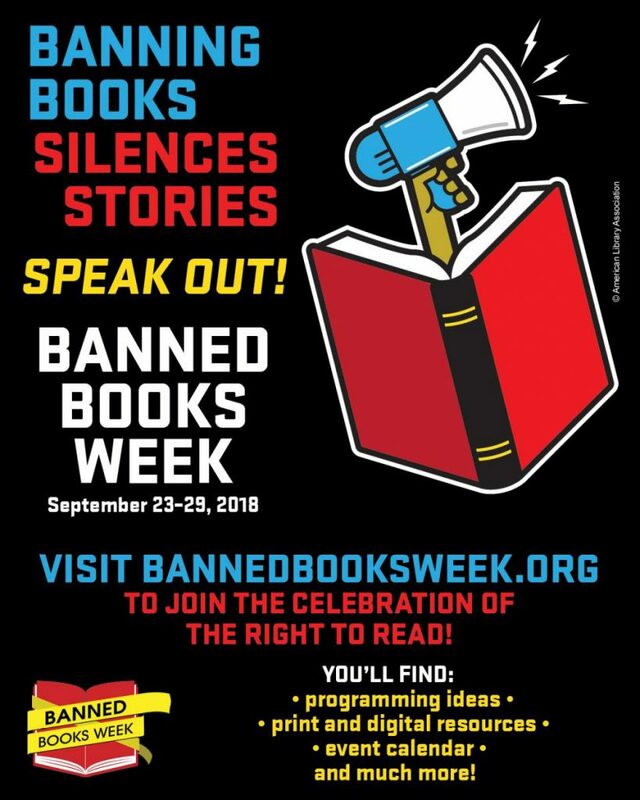 Be sure to visit the Banned Books Week event page at https://bannedbooksweek.org/events/, where you can find events happening all over the world! If you’re hosting an event, let us know about it by completeing this form — we’ll add it to the map! 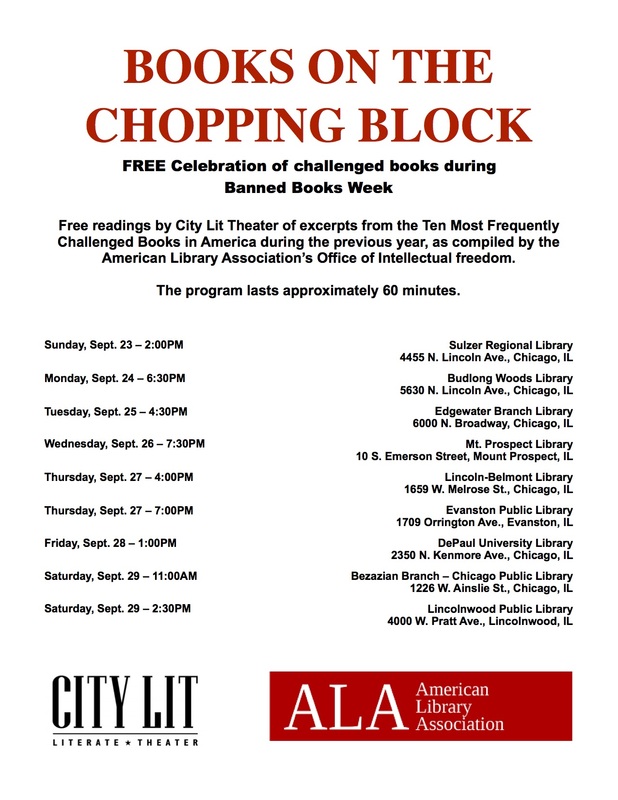 Free Dramatic Readings by City Lit Theater Company of excerpts from the Ten Most Frequently Challenged Books in America, as compiled by the American Library Association’s Office of Intellectual freedom. The program lasts approximately 60 minutes and is taking place all week at locations round the Chicago area. The Phantom Players and Director Tracey Frame are excited to bring Oscar-nominated actress Mary Badham to Richmond for an unprecedented theatrical performance of Harper Lee’s classic American novel, To Kill A Mockingbird, as adapted for the stage by Christopher Sergel. This limited time engagement will run for three shows only, September 21-23, at the Lynn Theater on the Midlothian Campus of John Tyler Community College. Raise a pint and your intellect! 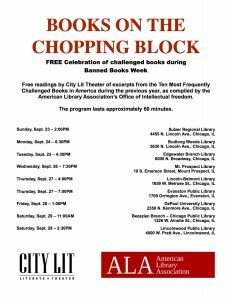 Kick off Banned Books Week with Alicia DeFonzo, nonfiction writer and Lecturer of English at Old Dominion University, while exploring the topic of censorship in literature and the inevitable effects intellectual freedom has on children.